The Milnerton Shooting Association is one of the oldest Shooting Associations in the Western Cape Province, starting way back in 1970, as the Thumbuster’s Club for Black Powder, on a range in Hout Bay! 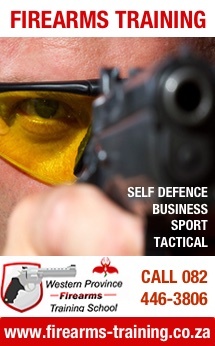 The club has gone through several name changes since, however in 1984 with soaring membership the club decided to change their name to MSA (Milnerton Shooting Association) as several members where receiving queries from the SAPS on their Gun Licence Applications. The Club had at this stage set-up a range in Tableview, until 2003 when housing developments in Parklands became too close and the club was forced to find an alternative site. Almost 40 years later, MSA is affiliated to the Western Cape Shooting Union (WCSU) and currently uses and manages theWCSU 360m Founders Range and the adjacent 40m Handgun Range. The WCSU ranges are adjacent to the SANDF Shooting Complex near Atlantis.